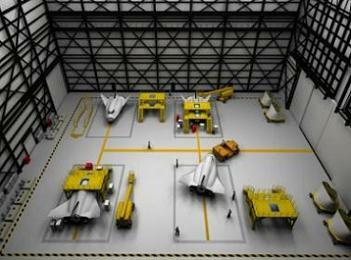 As Kennedy Space Center’s transition from the home base of the Shuttle fleet to a multi-user spaceport continues, managers at the facility have noted that the two vacated Orbiter Processing Facilities (OPFs) yet to secure a customer could securely host a military vehicle – such as the X-37B – next to a commercial customer. Ideally, KSC requires more than just the prospect of launching NASA’s new Heavy Lift Launch Vehicle (HLV) – known as the Space Launch System (SLS) – to fully utilize its huge base of facilities at the world famous spaceport. At least that’s the plan, with documentation ranging back years showing a large array of smaller vehicles providing company to the “monster rocket” and its main passenger – Orion – under numerous tags, all of which aim to see the retired orbiters replaced by both commercial and government spacecraft. 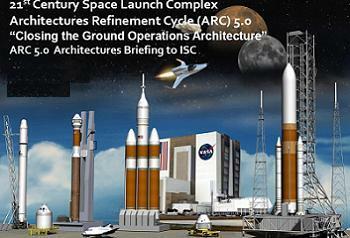 Read more: KSC could facilitate military and commercial operators in the OPFs | NASA Space Flight.